When the admin has configured his website in such a way, that the vendor is allowed to deliver his product within the specific Kilometre / Miles distance, then he adds this to the setting (configuration) panel. Admin using the Filter Type as Distance and mentioning the Radius Distance of delivery of his products. Now Admin can manage all the delivery locations by adding the exact vendor locations. At the time of creating an account, the vendor needs to provide his address and further whenever he wants he can edit that address. As per the Filter type “distance” mention by admin and Radius “distance”, to which the delivery can be done; therefore vendor distance is calculated from this point to the customers mentioned address. 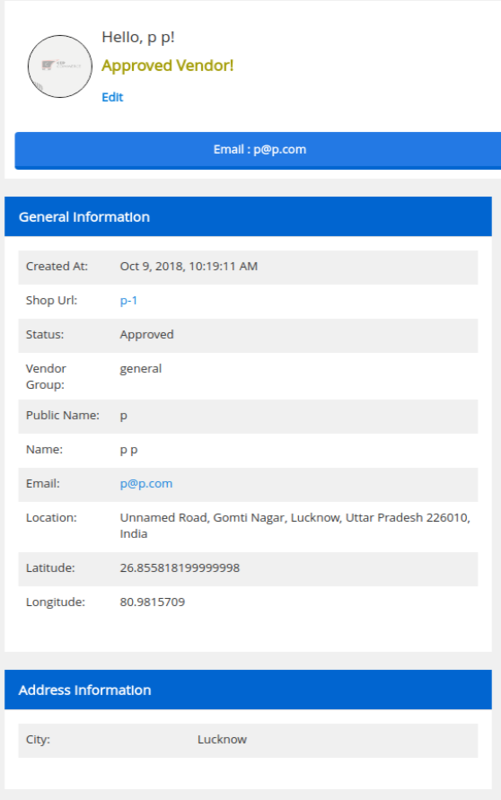 After you fill the exact vendor location the rest of Latitude and Longitude field are filled automatically as by fetching the data from Google via Google API utilized. Now from this vendor location, his product delivery will be applicable for within the desired Distance.